Per Kværne was born in Oslo. In 1970 he received the mag.art. degree in Sanskrit at the University of Oslo. From 1970 to 1975 he worked as a lecturer in the history of religion at the University of Bergen. In 1973 he received the dr.philos. degree from the University of Oslo with his thesis An Anthology of Buddhist Tantric Songs. From 1975 to 2007 he was professor of the history of religion at the University of Oslo, and he is now a professor emeritus. In 1976 he became an elected member of the Norwegian Academy of Science and Letters. 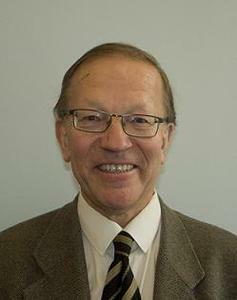 From 1992 he served as chairmain of the board of the Institute for Comparative Research in Human Culture, Oslo. He published a series of books on religious history, mainly on Bön and Buddhism. He is widely acknowledged as one of the world's experts on the Tibetan Bön religion alongside with Samten G. Karmay and Dan Martin. In recent years he also published on art history, including the Singing Songs of the Scottish Heart. William McTaggart 1835-1910. Kværne became a Catholic on June 15, 1998. From 2006 to 2008 he was a member of the Academic Study Group of the Roman Catholic Diocese of Oslo. From April 2007 to May 2008 he served as dean of Study at the St. Eystein Priest Seminar. Starting in the autumn of 2008 he is a student priest of the Catholic Diocese of Oslo.